As a real estate investor, one of the most important members of your team should be your attorney. A real estate attorney can help protect your business from future liabilities. The right real estate attorney should be well versed in real estate law. Whether you are investing out of state or simply renting out the property next door, finding a good attorney can help you protect yourself and your business through all aspects of a real estate transaction. The right real estate attorney will be skilled in the laws and regulations of your area and will be available to oversee the legal details of your business deals. No matter what side of a real estate transaction you are on, whether it be buyer or seller, a real estate attorney can assist you in a number of ways. 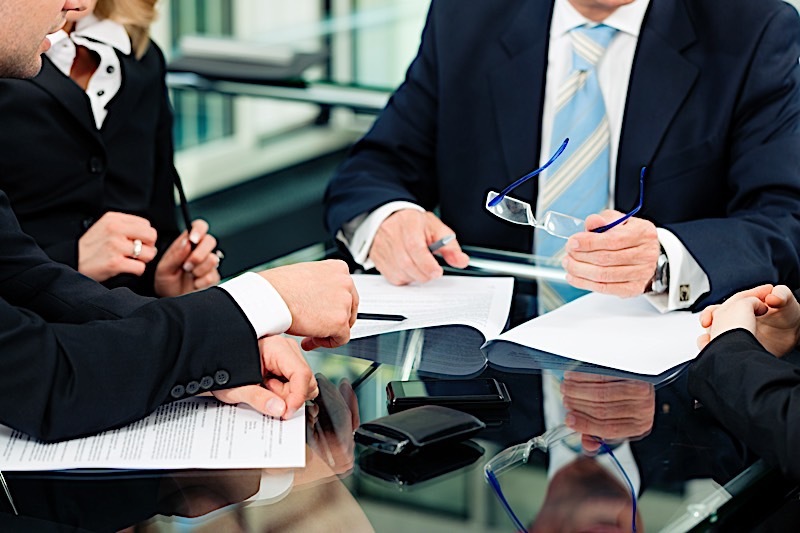 Keep reading to learn how to find the best real estate attorney for your business. The right real estate attorney will be able to help when it comes to anything legal: zoning problems, township ordinances, environmental issues, etc. They can also help with contracts, lease agreements and loan documents to ensure you understand each of your responsibilities as a property owner. Real estate lawyers can even assist you when it comes to establishing your overall business structure. In comparison, homeowners and real estate investors often rely on real estate attorneys for a variety of reasons. Homeowners typically lean on attorneys during the home buying or selling process; however, real estate investors may employ a real estate attorney considerably more frequently. Those working with investment properties or working in property management may find a real estate attorney particularly useful in situations throughout their careers. Do I Need A Real Estate Attorney To Protect My Business? As a real estate investor, you may find it useful to have a real estate attorney to help decipher mortgage agreements or leases. However, the real perk of working with an attorney is that owning investment properties can open you up to a number of liabilities and the right real estate attorney can help protect both you and your business from any issues. In that sense, real estate attorneys are invaluable. When considering real estate attorney fees, you should simply weigh the potential cost of losing your investment properties over a legal issue versus the costs of hiring a trained professional to help ensure that does not happen. Many real estate investors consider hiring a real estate attorney a necessary cost, and rightfully so. As I said before, there are countless reasons a real estate attorney can benefit you and your business. A real estate attorney often has a strong handle on the local area. By being well versed in local laws and regulations, the right real estate attorney can help you ensure your property, and anything done to it, are run in compliance with state and local regulations. When it comes to boundary disputes or survey issues in a given real estate transaction, a real estate attorney will be able to work with your realtor to ensure the process goes smoothly. During the selling and closing process of a home, a real estate closing attorney can help handle the title check and more for the property in question. They are also equipped to handle any unexpected events during the closing process. It is also worth noting that a commercial real estate attorney can help with any legal issues involving a commercial real estate deal. Investors seeking to get started in the world of commercial real estate will find an attorney especially helpful when it comes to acquiring new properties or managing existing ones. Yet another reason a real estate attorney can be of value to your team is during the rehab process. When it comes to hiring contractors, an attorney can assist you in the creation of an agreement to protect you and your property throughout the process. Finally, perhaps the most important reason to work with a real estate attorney is that they can help prevent your business structure from being open to certain liabilities. By premeditating any legal issues, an attorney can ultimately save you time and money in the long run. Are You A Real Estate Attorney? Working with a great trial lawyer won’t do you much good in the real estate business. Most attorneys are knowledgeable in all areas of the law, but focus on one or two specific practices. If your attorney is skilled in divorce mediation, they may not be up to date on changes in real estate law. It is important to find out if real estate is something that they focus on. Often times this means having a staff of real estate paralegals ready to handle title searches and other issues that pop up. A great attorney that doesn’t focus on real estate may not have the time or passion to help when you need it. By having a true real estate friendly attorney, they will be able to help with issues on your contract, title and even loan underwriting. Don’t be afraid to ask how many years of real estate experience they have and how much of their business is dedicated to real estate. The ones that get upset and act offended should be taken off your list of potential suitors. Solid real estate attorneys know how to answer this, and will make you feel comfortable from the beginning. Have You Worked With Real Estate Investors In The Past? Real estate investment deals are often much different than traditional purchases. Between short sales and foreclosures, many investment deals can be time consuming and difficult to deal with. You need an attorney that knows how investors work in real estate. This could be changing the contract to offer protection or working with lenders to push the deal forward. As an extra bonus, your attorney may be able to put you in contact with fellow investors in your area. You can never have enough contacts. By having a mutual attorney, you can hit the ground running. In time, an attorney that works with investors can be a good source for deals directly as well. If they have a large investor portfolio, you should feel confident that they know the process and what to expect. Investment deals can be a handful. A good attorney can make it as smooth as possible for you. It is important to note, that in contrast to finding a traditional attorney, the number of years a given real estate attorney has actually practiced law is less important when compared to their specialty. As you identify whether or not they have worked with real estate investors in the past, you may also want to inquire what percentage of their practice involves working with real estate. This can help you identify an attorney with both experience and a strong understanding of the things you need. There are many instances in the business when a deal is time sensitive and needs immediate attention. If you can’t get in touch with your attorney or they won’t return your call, you will have a problem. You can expect them to drop what they are doing, but it isn’t unreasonable to get back to you in 24 hours. With all the different forms of technology available, getting in touch with someone is as easy as ever. One of the reasons you want a dedicated real estate attorney is for the mini emergencies that pop up. If your attorney is constantly in court, you will only get them first thing in the morning or after hours. Truth be told, most of the work on a deal is done by the paralegals. The attorney only steps in when they are really needed or closer to closing. They still need to get back to you in a reasonable amount of time. If your attorney has a tough time answering this question, they may have a tough time getting back to you. In this same vein, you may want to ask what percentage of the actual work will be done by a paralegal in order to determine the kind of working relationship you will have moving forward. There is nothing wrong with a paralegal doing the heavy lifting; however, you may want to be introduced to them during the consultation process as well if that’s who you’ll be working with moving forward. Remember, you want to make sure you feel comfortable speaking to whoever will be acting as your point of contact so don’t hesitate to ask who else will be involved. What Are Your Fees And What Do Those Fees Include? To many new investors, this is the most important question. Money is money, regardless of who you are. However, there are times in business when money should not be the most important thing. In most cases, the attorney fees will be within 10 percent of everyone else in the business. By getting caught up in saving money, you could miss the big picture. In a $100,000 purchase, using the attorney that can save you $500 doesn’t make a lot of sense. It is far more important that they know real estate, work with investors and are there when you need them. There are plenty of ways to save money in a real estate transaction. Using the least expensive attorney should not be one of them. Think of it this way: you are paying money up front to save yourself from future legal problems and consequently financial problems down the road. Now, that being said there are several variables when it comes to real estate attorney fees that you will want to make note of. For example, be sure to determine whether or not you are paying a fixed rate or a time-based fee. Additionally, specify which services will be included in your given contract. Make note of which services your business warrants, and hire an attorney accordingly. Now that you have a better idea of the ins and outs of what a real estate attorney can provide, it’s important to determine how well they will fit in with your specific goals. You want to ask what their “it” factor is. This is particularly helpful if you find yourself with an abundance of options and aren’t sure how to move forward. On the other hand, it is a great question to ask anyone you are considering working with, as it can reveal what you should expect from the working relationship. If a potential attorney is answering your questions at a basic level they may be easy to work with but, as any real estate investor knows it’s crucial to surround yourself with individuals who will go above and beyond. Determine whether or not they are well versed in the specifics of your business. For example, do they have a background in property management? By getting to the bottom of what a given real estate attorney offers, or what makes them stand out, you can gain a sense of trust and understanding on what to expect moving forward. Don’t be afraid to ask the hard questions. After all, they play one of the most important roles when it comes to a successful investment. All in all, there are a number of benefits of working with a real estate attorney that simply cannot be ignored. Some would argue they are an essential player in any real estate transaction, and should be treated as such. Consider the cost of hiring a real estate attorney as part of the business deal, and don’t be too cheap when it comes to finding the right fit for your company. You may not talk to your attorney frequently during a transaction, but their importance cannot be understated. What they offer is protection and guidance throughout the process, and you can’t put a price on that. You may talk to a dozen attorneys before you find someone you are comfortable with. This is an important part of the process and growing your business. 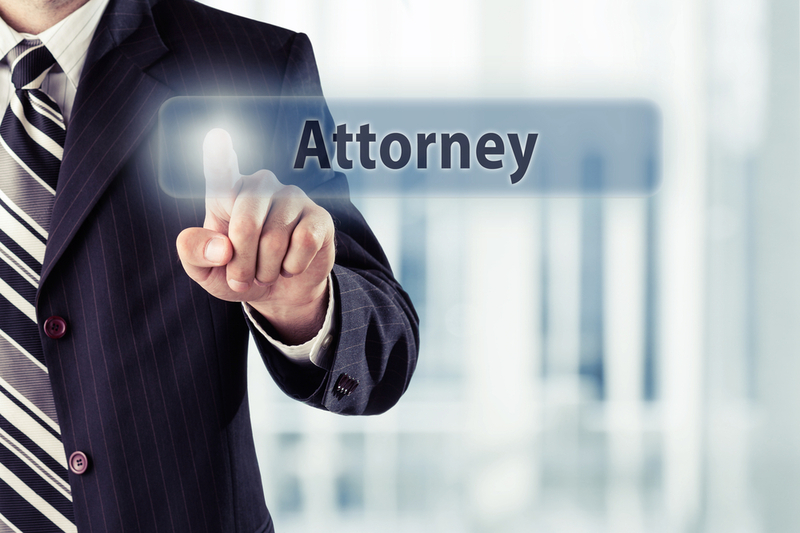 Don’t just use the first attorney you speak with; use the right one for your business. What tips did you find most helpful for identifying the right real estate attorney for your investment business? Share your thoughts in the comments below!